Companies may want to treat their Code of Ethics, Whistleblower Policies, and other policies and procedures as a ‘must have’ first aid safety kit. Why? Because workplace safety is emerging as an important issue in 2016 and corporate executives may find themselves criminally responsible for failing to protect their employees. On December 17, the US Department of Labor and US Department of Justice announced an initiative to crack down on environmental and workplace safety crimes in an effort to prevent and deter crimes that put the lives and the health of workers at risk. 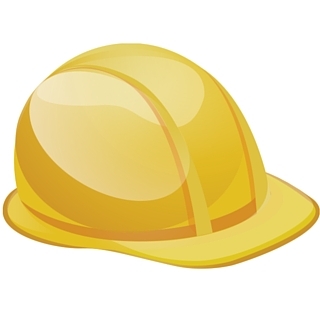 We’ve written about worker safety recently (here). In many industries, it’s quite common for employers to cut corners in order to make dollars stretch farther and in a lot of instances, cutting corners not only endangers employees, but also can jeopardize the environment as well. Under this new plan, known as the worker endangerment initiative, prosecutors will seek to bring action against workplace safety violations under federal environmental laws. The reason behind this is that the DOJ and DOL argue that environmental violations and workplace safety violations go hand in hand. Employers who cut corners on worker safety laws are also likely to violate environmental regulations. So this new initiative will allow the government to take workplace safety issues and combine them with violations against environmental compliance. And as noted back in September via the Yates memo, there has been an increased focus on individual accountability, not just at the corporate level as we’ve seen in recent years. It’s now very possible that executives will be under scrutiny when it comes to ensuring their employees are working in a safe environment. Ensuring that all policies and procedures are up to date is important. These are ever-changing documents that should be constantly aligned with existing regulations and laws. As we’ve seen with this new initiative, employee safety is no laughing matter. Every employee should be given the tools they need be able to alert their employer if corners are being cut and employee safety is as risk. The government is getting serious on cracking down on wayward offenders – this includes reaching farther inland to the individual executive level. Companies should be equally proactive in cracking down on any crimes that are committed within that could have a serious impact on their employees and the environment.